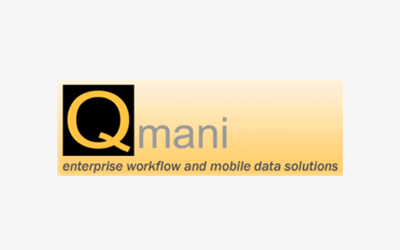 Qmani is an Australian solutions and SMS communications service provider using Australian technology and expertise to provide government, councils, enterprise and businesses with innovative asset management, enterprise workflows and mobile data solutions. The Qmani innovative solutions are complemented by our hosting, support and maintenance services in secured Tier-1 datacenter environment with backup and contingency arrangements. Qmani delivers solutions through our disciplined process of direct consultation, validation, demonstration, proposal and implementation with on-going software updates and enhancements, maintenance and support. Qmani’s solutions are proven, cost-effective, feature-rich and provided in a multi-user web-based deployment. The solutions are fully supported by its Qmani Support Team. Business SMS Qmani’s messaging traffic is provided by direct connection to Australian mobile carriers. This is required to support the Business SMS quality, reliability, capacity, throughput, security of delivery and receipt of mobile messages. Infoboard Qmani is the Australia and New Zealand distributor of infoBoard, the electronic planning tool. infoBoard has many features that facilitate the planning and tracking of your operations and activities. Allowing your business to plan, allocate, update, monitor resources and tasks.